Steven: Stephen, Justin, and Jill here. Welcome to the Land Academy show. 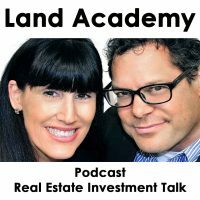 Entertaining land investment talk, I’m Steven Jack Butala with Justin Sliva. Steven: Today Jill and I talk about, every Friday, Finance Friday and the deals that we’re doing. Jill: And I get to be a guest. Today. Steven: I know you love that. 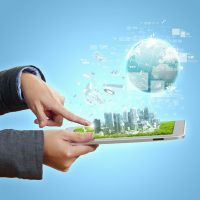 Steven: Before we get into it, let’s take a question posted by one of our members on the landinvestors.com community. It’s free! Jill: Before we get into this, can I talk about what we just were talking about? Justin: I’m using the kids, threw me a bottle of water to I could lube up my throat. You’ve got two minutes, go go go! [crosstalk 00:01:17] My son is crawling under my desk right now to get out. Jill: Steven and I have our feet up today in recliners, whatever. Steven: We’re both a little buzzed from the night last night actually. Jill: Yeah it doesn’t matter. Jill: Guy drops dead right now. Justin: I went to bed at 8:45 last night, now I feel horrible. We just went to bed early. We watched Jack Ryan. Justin: It was good! Yeah it was pretty low-key on the day before but me and my wife went out the weekend before. First time we’ve actually had a date, just us two, in probably five or six months, it’d been a while and I’ve been asking her, she’s like doesn’t want to leave the new baby with people. We went to the Mexican restaurant that we normally go to and I think we are going to split a pitcher of margaritas and she’s like “I want this jalapeno margarita.” So then I started drinking rum and Cokes. Nine later at the second bar we’re at, with some great people watching us, a cool funk band on, so it was a lot of fun. Steven: That’s how the fourth child happens. Justin: No, no. Unless I have another wife. [crosstalk 00:02:27] If there’s a fourth child come involved you’re going to see half the wall behind me, she’s gonna take half of everything. Steven: Every once in a while Justin says some really Texan stuff. [crosstalk 00:02:41] Get another wife though. We don’t let that happen in California. Steven: This is perfect for Justin. Steven: Don’t ever, ever, ever do that. Steven: Really quickly, you know how I say there’s some members it’s really clear that they’re going to be really good at this? This is a member. This is a very, very intelligent question. He’s obviously come to us with a bunch of previous real estate experience and we’re probably closing the gaps hopefully, or filling some piece of the puzzle. I know you guys buy apartments, tell us how you do it. Justin: I actually answered this question for him, because it looked like he copy and pasted on the forum and then he actually submitted this same question. Which is great. Like I explained to him it’s a little bit different when you sell apartments in commercial buildings. You actually run with a letter of intent. Hey, this is what I’m willing to do, this is the price I’m going to offer and this how you work through it. That opens an inspection period. An inspection period is where you begin to adjust your NOI, your CAPREIT. The idea with the letter of intent is to say, I intend to buy your property, these are the deals that I think, are the way I want to do it, what do you think? And the person goes, “Oh no, I want this, but I’m willing to talk to you, so let’s work from there.” And then you start the negotiation process. So it’s an extra step compared to what we do with raw land, you send an offer, somebody signs it and sends it back. That LOI is how you start that and what that looks like. Steven: Do you offer a price? Justin: I do, yeah, When I go into apartment buying, I’m buying with somebody already, so I’m the guy who’s bringing the deal to us, I have funding lined up. Normally the people that I would with, their asset class is anything from $100 000 single family to a $7 million dollar apartment complex. 500 doors plus and they have a commercial building. Normally he knows what asset class he wants to offer and we typically go in at 80-90% of assessed value which is weird and you have to watch some of the bigger apartment complexes because assessed value is off of one little piece of the property, not the whole thing. We’ll either do that or we’ll offer “by door.” Everybody’s like “Well no, the right way to offer on an apartment is by NOI and CAPREIT, and you work through all of this.” That’s the traditional way. Remember we’re not traditional, we’re doing something different. We want to open the conversation. This is a marketing campaign that says “Hey we’re gonna do this.” Because if you offer too much money, you can always back out. If you don’t offer enough and they’re saying “Hey we’re still interested but this is what we need,” then you can do that. Justin: I’ve offered on one apartment complex, I think I offered $700-800 thousand bucks and the guy goes, “No it’s gonna take a million.” So we said, “Okay great, show us the books.” And a million would have been an okay deal, it wasn’t a smoking deal, but then he tried to sell us another property as well so it opened up the conversation to two or three. I love when I get a broker call me back and he’s like, “Is this a real offer?” We’re like, “Heck yeah it is!” It’s actually a letter of intent, let me tell you how to do your job real quick. This is not a purchase sales agreement, this is a letter of intent because we’re going to tell you how we’re going to process this. And we’ve bought 8 units, quite a few quadruplex, quite a few duplexes, and every person that we’ve bought for ended up making money off of them as well. I think we sent one out and it was 500 units, and we bought two duplexes, two quadruplex, and an 8 unit apartment complex. Steven: Off a 500 unit mailer? Jill: Wow, what are the numbers on that? Justin: We sold the apartment complex in three months, we made $115 000 plus cash flow every month. That’s a little 8 unit apartment complex, so you figure 2 quadruplex essentially. A wholesaled one of the quadruplex for $10 000 and then that guy sold it three months later for a $35 000 profit. Those deals are out there, it’s the way you approach it and go through it. Justin: They case out, go to their 1031 Exchange and move onto the next deal. It’s a churn of money. Hey we’re gonna size up a little bit, or we have some free capital we wanna throw in and make a deal better. No it’s great. It’s a great question from him and when he sent that to me I was like “Yes! As long as you don’t promise to shop DFW I’ll send you anything you wanna know.” Great question from him. Jill: For me it just comes back to, I was talking to my team just the other day, we’re still trying to teach everyone, the planet, that there’s a better way to find these deals regardless of the kind of deal. Steven: There’s a better way to find all real estate. Jill: I was looking, I showed Steven the other day, I have a little sticky note that someone literally taped on my front door, like “I want to buy your house!” How much time is this guy, it looked hand written, may not have been. Either way someone’s walking around putting sticky notes on doors, number one. And then I even have a voicemail I showed you the other day too, I’m like, “Oh my gosh.” The whole skip-tracing voice mail. That’s a waste of time. Heaven forbid somebody answers. If I answered the phone and you told me you wanna buy my house, that’s ridiculous. Such a waste. Just send an offer and let ’em call ya. Jill: And everybody’s gonna call, and they want top dollar. Jill: Great, yeah actually. Eight million, thank you. Justin: I’d love to sell it, two million dollars please. Steven: Today’s topic is Finance Friday. 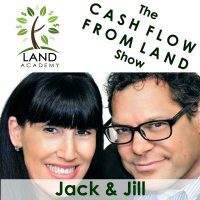 Every Friday on the Land Academy show. This Friday happens to be with Justin and Jill. This is gonna be a good show. Jill: Can you imagine if you were Jack, Justin, Jill right now? Justin: Jack, Justin, Jill. The three J’s! Steven: Oh my gosh, three J’s? Justin: And then we had Jessica jump in, so we had [crosstalk 00:10:23]. When we had dinner before the first live event, that’s what I was thinking. This is Jack, Jessica, Justin, Jill. And then you throw our twins in, Jordan and Jackson. I was like, Jesus we’re J’s everywhere! Steven: Jesus too is J.
Justin: Yeah Jesus as well. Jill: Jesus, that’s a lot of J’s! Jill: Give us all shirts, we’ll all walk around. Justin: So deals huh? Finance Friday. Steven: Justin went first last time, Jill you go first. Jill: I had a thing from last week that I was going to share. A positive and a teaching moment. My positive is, California I got this LA County property, it’s five acres. It’s one of those areas, it’s hard to even, is that right? There’s just some areas we all know are hard to get some deals in because they’re really, really hot. Traditionally priced really, really high. But we’re going to be able to pick this baby up, 15k. It’s worth at least 50. The access and what’s across the street is phenomenal. Jill: It’s really good. So I am super excited. It’s coming from, I’m sure you’re looking at this too Justin, I look at the deals and I look at who it is, and when there’s certain people that we know and trust automatically that by the time it got to me, it’s just really for you to do a last little spot check, make sure nobody missed anything. In ours we’re like, “Yep, done!” Put it in escrow, kinda thing. Steven: We’ve been doing this for exactly 21 days. We have four members who have submitted multiple properties. We have a lot of people who have submitted properties and we’ve accepted, but there’s four where they’ve submitted and my answer is almost always yes just by looking at their name, not even the deal. Are you developing that too? Justin: Yeah I’ve got a couple guys. If I get one from one of my clients, I think we’re on deal number seven that we’ve green lit for him, and if sends me something he gets ahead. I check his before I check anybody else’s. Justin: The cool thing with that type of relationship though is that he had some other people funding for him. Some random people, and they quit responding to him. They couldn’t get him on the phone, he couldn’t get a text. He knows he can text me or email, or we can talk on the phone. He knows if I’m driving and he texts me that I’ll call him back and I’ll just talk to him while I’m driving. And he’s like, “You now have first right of refusal on everything,” just because of that way we go, and that’s a cool thing. Together I think we’re probably going to generate this year close to half a million in equity, just so far this year. That’s just crazy to see. Steven: He’s going to make a quarter of a million bucks this year with you. Justin: Yep he could. He’s already ramped up, set another ten thousand more in offers and he’s running the data on some other stuff. He goes a little bit deeper than I do on the data when he’s buying. He’s got a VA that’s in Bangladesh or India and they go through some stuff a certain way. The guy’s an MBA out of there and he charges him $7 an hour and he hired him full time. You get 40 hours a week. He looks at some stuff a little bit different than me but he’s like, “I don’t really like this guy, so I’m only gonna offer 15%.” And he goes in 15% and he starts pulling these deals out and you’re like “Holy mother! Man!” And he’s like, “Well nobody else was really working there, I just thought I’d throw it out.” Great person, a Land Academy member. Awesome, and I do enjoy working with him. So you develop those names you see pop up. You have other one’s where you’re like, “Man, I bet this one’s not gonna have access. They’ve sent me seven and we keep having the same conversation.” And you’re like, click on it, access is questionable, and your like hey, gotta ask those questions. I think that I can attest and say this for both of us, if you don’t see a road to it, don’t waste your time with it. Steven: Here’s a message listeners, or watchers. Have a high expectation of yourself and the deals that you pull in. Steven: And then we’re just a tool for you. And we’re happy to be your tool. Justin: That’s exactly, me and Adam had that conversation that having that took in your tool chest is important and that a lot of people don’t have that. I didn’t have that opportunity when we started two years ago, where y’all started in the 90’s and you’ve worked through and built those relationships and I think that together as we’ve seen us grow we’ve had to recalibrate and say, “Hey what are the barrier entries and what can we do to work through those?” And we’ve done that collectively as a team. 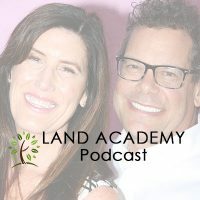 We’ve spent probably 15 days with y’all in LA over the last six months and we say “Hey let’s look at it from different perspectives and see what we can do to make it better for Land Academy members and the other land investors.” It’s awesome. Jill: 15 days? Gosh it felt like 45! Justin: Because you kept me up so late! I feel like I go to bed at 9 and I’m on jet lag and you keep me up until 2 or 3 in the morning. Jill: Steven has always been that way. You turn around and there’s another drink, and like holy cow what happened? Justin: Yeah that’s it! When we met you at y’all’s favorite bar there, y’all’s bar tender Abby, we met her. She lived 20 miles from me. And now we’ve talked still regularly and when I went back last time we had dinner but it’s definitely fun to see that and it’s cool how small the world really is but how big it really is. Steven: My childhood mentor recently passed away. An industrialist, a multi-billionaire. From nothing, and his son and I were best friends in high school. I was always around that, and I worked for them over the summer and so I got to see it at a really young age, as a teenager, what’s possible. Start this company, if you work at it something huge could happen. So anyway. I was reading his eulogy, very long, took out a whole page of the paper kinda thing. Local paper, and one of the things that the writer said, who has known this guy his whole life, he said, “This guy is incredibly successful but what makes him special is how much freakin’ fun this guy would have!” The toys that he would buy, and pay for everybody’s stuff, and I was the recipient of that as a teenager and into our twenties before I left Arizona. I modeled my whole thing after that. Jill: And you’re doing a good job too! Steven: [crosstalk 00:16:52] A roomful of people that were having fun, they will all get drinks. Justin: Yeah I’m the same way. I got the next round, let’s go, let’s go! I went out with my commercial guys and my banker. We were going to Bull’s Night Out at the Stock Show here and we all go to dinner and have drinks. There’s a couple of capital guys that I’ve worked with in the past sitting there. We all knew each other but we didn’t all know that we were all that tightly connected. We’re pulling up to the rodeo and my banker pulls out the tickets and he got the wrong day. It’s like the 23rd and the tickets are for the 22nd, you see his face just go white because it’s who we use for our commercial deals on locally and DFW stuff. He lives a couple houses down from me so he’s like, “Oh man, what do we do?” His eyes get real big and I said “It looks like you’re taking us all for drinks!” And so we went out and had a big time. Justin: But the cool thing was one of the guys what was in the group, he just sold his business and they do this specialized thing with high power lines and at one point some billion dollar sale, and they refinanced the deal back again, it’s just awesome to see that. Getting to see stuff like that first hand. I came from a family that made combined, $40 000 as a kid. So seeing yourself put in situations where you can learn little bits and pieces and put it back to what you do it’s always a grateful thing to see. You’re humbled but yet your mind is working as well. Steven: There’s some million dollar opportunities out there right now. Justin: Yep, agree with that. Justin: Talking about the new perk. Steven: Long past Jill’s cap, believe me. Jill: It’s all a party for me now [crosstalk 00:18:38]. Justin: I keep looking at this carbon fiber Pershing yacht that keeps popping up on my Instagram feed. Y’all showed me it’s possible to have a 40 foot dock in a yacht club. In Texas it’s not normally possible. But it could be if I moved to [crosstalk 00:18:58]. Steven: There’s a 90 foot dock that I’m waiting for to come up. Steven: Like 500 yards from our house. Jill: I have a thing about deals and I’d love to ask Justin because this is one of the obstacles that I’m running against and I want to hear, I’m sure you have this too. I’ve got some people who are submitting some fantastic deals and we quickly green light them, start the conversation, start the process. They’re too slow on their end, and we’re losing them because the sellers are starting to make a few phone calls and realizing what it’s worth and they back out. Steven: It’s like you have experience in that part. Justin: We’ve had a few guys like that. Segues perfect into this. We had one that fell apart. We talk about attitude and how you approach stuff with title companies and building your teams. We had one, the guy had a solid deal. Had 21 people that needed to sign the deed. Steven: There’s some leverage things that we’re going to start building into these. It’s a service that we’re providing right? There’s some stuff that Jill is so good at, and it takes her such a small amount of time. The spreads on these things are 1-2 hundred thousand dollars. We’re going to start offering that. Like this Land Advisors thing that I was talking about. It’s for us to just say, “Yep we’ve got a perfect guy in Michigan or Ohio to actually list this and sell it, let’s make sure we price it right on the front end, and get him involved from the beginning.” It’s kind of an added service. Steven: We’re going to release Title Mind here in a couple of months at the latest and it will be a requirement for the people that we fund to use Title Mind. Steven: Super reasonably priced, and we know how fast it’s going to get done. We’re on a first name basis with everybody. Jill: I was going to say too, we talked about this on our advanced call a week or so ago and I’m looking at it right now on Steven’s spreadsheet. Omar and I are creating a preferred escrow client list, so I’ll share that with you. Jill: We all find one good one, we all should know about it and share it with each other. Steven: Yeah there’s no competition there at all. And share the bad ones. Jill: Yeah, and to go back to what you said which I totally agree with and I’m the same way man. Time kills deals whether you’re a seller or a buyer. It’s like you just said, “Forget it, I’m out.” Me too. I just allocate my money somewhere else. I’m out. You took too long. I’m not sure now. Steven: If the seller is going to back out, please do it in the first couple of days so you don’t waste any time or money. Justin: That’s the thing, the allocation of money as we start earmarking. We know closing could take anywhere from 15-30 days. That’s 15-30 days we’re not putting that money back to work. As anybody who’s private funding knows that we’ve gotta churn this money, we’ve gotta keep it moving. We’ve talked about that last week on Finance Friday. Sometimes taking a profit and moving on to the next deal. Get it, don’t milk it, keep rolling. One of the things that we’re seeing too, and you might come into this, getting contracts on the back, “Hey I’ve got someone who wants to buy, they’re thinking about it.” Get the purchase and sales agreement as quick as you can. Don’t say they’re going to wait until Friday. Get all the paperwork ready to go and if you’re going to a terms deal because we offer that. Get the contract in place, we can wait for the payment until Friday if that’s when they get paid, but go ahead and make them sign. Don’t let them push you off, and push you off because if they do that they’re not serious. Steven: Well you’ve done it again, spent another 30 minutes or so listening to Land Academy show. Join us next time when we cover another interesting episode. Jill: And we answer your questions posted on our online community, landinvestors.com. It’s free. Steven: You are not alone in your real estate ambition. Justin, now is the time for you to plug your companies. Justin: Thank you. Casual Fridays, our podcast where we talk about the things we see across the different niches. Plumb Investment Group helped private fund our other Land Investors, and Land Mule, we’re out there, we help sell deals. Steven: Get your deals funded at landinvestors.com. Justin and I have a similar approach to things but we have a liking for different types of deals right now. Jill: There’s enough deals to go around. Justin: You’re exactly right. Both of us have different perks that we like, things that get us excited. I like that mesh. Steven: At some point soon we’re going to do one together. Jill: Maybe it will be a boat purchase. Maybe it won’t even be a property. Steven: Jill, no one’s ever made any money on a boat. Jill: That’s what I’m saying! Let’s split the loss. Justin: I broke even on a boat once. I broke even on a boat, used it for a year and I was so excited. Yes I broke even! Jill: That means you won! Justin: Then I forget the gas and the insurance and the oil. Jill: And the loss of sleep. Jill: Jessica and I will write that book. Justin: Have fun with that! Jill: “Stupid stuff we’ve done for our men.” Yes we can do that. That would be a good book. Steven: Wherever your watching or listening, please write us there. Justin, thanks. We’ll talk to you next week. Bye.